Database models, also known as database schemas, shows the structure of the database or its format which is handled by the database management systems or DBMS. These schemas are stored in a dictionary of data and usually refer to the representation of data in a graphical format. 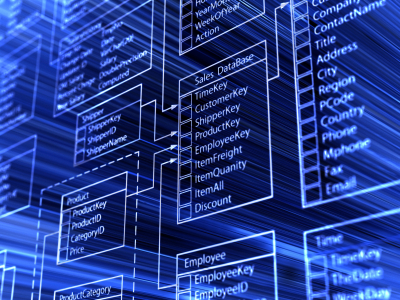 A database model is also referred to as a theory of how a database is supposed to look like. There are numerous types of database models today and these are hierarchical model, network model, relational model, entity-relationship, object-relational model, and object model. These models not only represent how a database looks like but also what kind of operations that can be used to manipulate the data within. An example of operations that can be used in a relational model is select, join, and project. These operations may not be considered explicit in some query languages, but they are considered to be the stepping stone for the development of query languages. Word processors, mail mergers and information management systems are only some examples of what a database is. Database models are usually the basis of a database structure so different techniques are applied into it. Database systems are normally centered on one type of database models, but it is not unheard of that some database structures can support different kinds of models. Products using databases give its users the right to fine tune its performance depending on their needs since this allows the product to be fully functional. This is why some databases can be used in other product or software. The flat model is composed of two dimensional arrays where the members of a column are assumed to have the same values, while the values found in the rows are considered to be relational to one another. The flat model, however, may not be considered as a database model based on its definition. Hierarchical model presents data in a tree-like structure. This model has an upward link that shows the hierarchy of the data stored. The upward link represents the nesting of data as well as the sorting field for each level. This type of model was frequently used during the early years of the database management system mainframes. The hierarchical model can be used not only in databases but also in real life such as in table of contents, recipes and the like. Though hierarchical model is commonly used, it still has limitations. One such limitation is its inability to represent the redundancy found in a data. The network model uses records and sets, which are its two basic structures, when organizing data. Record contains the fields, while the set is the one defining the relationship existing between the records. The network model is considered to be a variant of the hierarchical model since it also has the same branching out of nodes. The only difference is that, in the network model, these nodes can be connected to one another, unlike the ones in the hierarchical model. The network model also has the capability of representing data redundancy.